Donald Macleod considers how the Orkney Islands' landscape, history, environment, myths and its people inspired Peter Maxwell Davies's work. 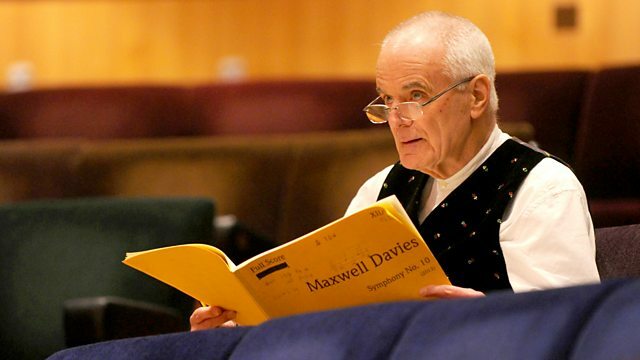 Conductor: Peter Maxwell Davies. Performer: Peter Maxwell Davies. Conductor: Sir Simon Rattle. Performer: Philharmonia Orchestra. Conductor: Michael Rafferty. Performer: Music Theatre Wales. Performer: Scottish Chamber Opera Ensemble. Conductor: Peter Maxwell Davies. Performer: David Wilson‐Johnson. Performer: Della Jones. Performer: BBC Philharmonic. Conductor: Peter Maxwell Davies. Performer: James Clarke. Performer: Scottish Chamber Opera Ensemble.